A PLACE WHERE SLOW WILL SET YOU FREE. San Luis Obispo County (SLO CAL) offers travelers the best of the California coast – from mountain trails to sandy beaches, city culture to casual wine country – all in one easily-traveled area! Here, you’ll discover a pace that will allow you to find your natural rhythm and to catch up with the things that matter most to you. SLO CAL is home to multiple wine regions with over 250 wineries in all, vinifying 40 different grape varieties! In addition to wine, craft breweries, cideries and distilleries pepper the communities and lands of SLO CAL. Designated wine trails and clustered tasting rooms make it easy to plan a memorable itinerary for a quick afternoon or long weekend of tasting. The uncrowded roads and glorious scenery enhance the experience, working a playful magic that encourages visitors to relax and relish the moments. Slow means taking the time to sip and savor. Vibrant agricultural and wine scenes bring unique SLO CAL-crafted goods and foods – including lavender, olive oils, avocados and citrus. Local farms and producers deliver their goods fresh to 13 year-round farmers markets and to the tables of SLO CAL’s incredible restaurants. A wide array of farm stands, retailers and you-pick orchards connect you to the region’s agricultural roots and let you take the fresh foods back to camp or on the road. Highway 1 is California’s original road trip, and this iconic byway is completely open in SLO CAL, as are all its coastal destinations, such as Ragged Point, and can’t-miss attractions like Hearst Castle. With a closure on the highway just to the north in Monterey County (expected to last well into 2018), travelers coming from or heading to the north will want to take Highway 101 over the county line. The shorter, easier drive to Monterey will give you time to explore the scenery and attractions of SLO CAL’s North County, such as the historic Mission San Miguel Arcángel, before you make your way back west. Take some time off the road, too, and explore SLO CAL’s natural wonders by foot, on horseback or even racing a dune buggy! Be awed by the grandeur of Morro Rock. Go wild on the Oceano Sand Dunes. 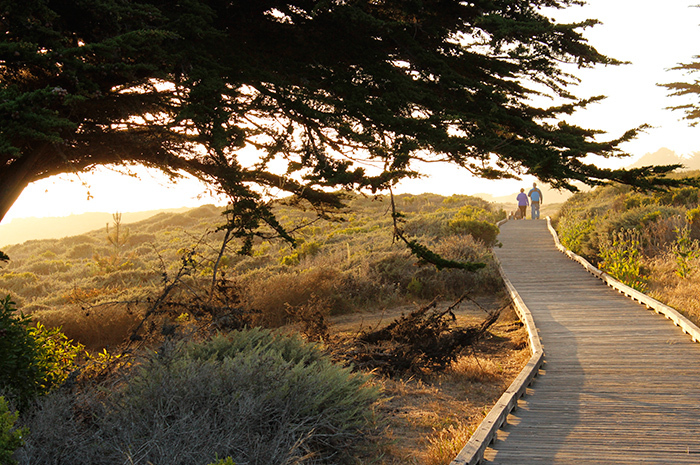 Seek serenity on the trails of Montaña de Oro State Park. Get mesmerized by thousands of delicate, fluttering wings in the Monarch butterfly groves. However you choose, reconnect here with what inspires you, with nature and with your loved ones. 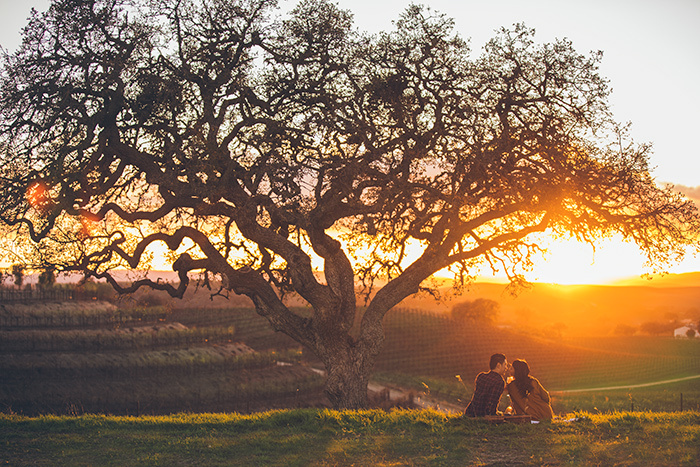 Camping in SLO CAL means scenic locations near the mountains, overlooking vineyard valleys or near the Pacific Coast for sunny days that melt effortlessly into star-studded nights. The RV parks here offer easy access to a wide variety of views, amenities and experiences – from coastal, family-friendly communities to zip-line adventures, the tastes of wine country to the fresh-from-the-sea foodie hot spots. With a variety of options, you can spend the night in a cozy rental cabin, snuggle in your own RV or lie under the stars in your tent. 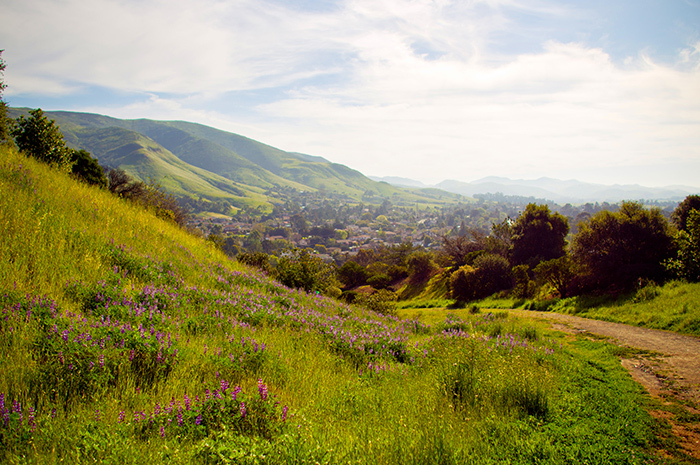 Discover the California less traveled in SLO CAL, San Luis Obispo County!